“I don’t often talk about cancer anymore. Having been originally diagnosed in 2010, then rediagnosed in both 2013 and 2014 (when I was told I could not be cured and completed palliative radiotherapy), over time this illness has gradually faded far into the background of my thoughts. Most days I barely think of it at all. Recently The Dodo (an online animal advocacy platform) requested to do a follow up interview of their excellent coverage of the Project Banjo #RaysAwareness Campaignthat I led alongside my good friend Jacqui Younger in 2017 which resulted in better outcomes for the beautiful rays of Victoria. 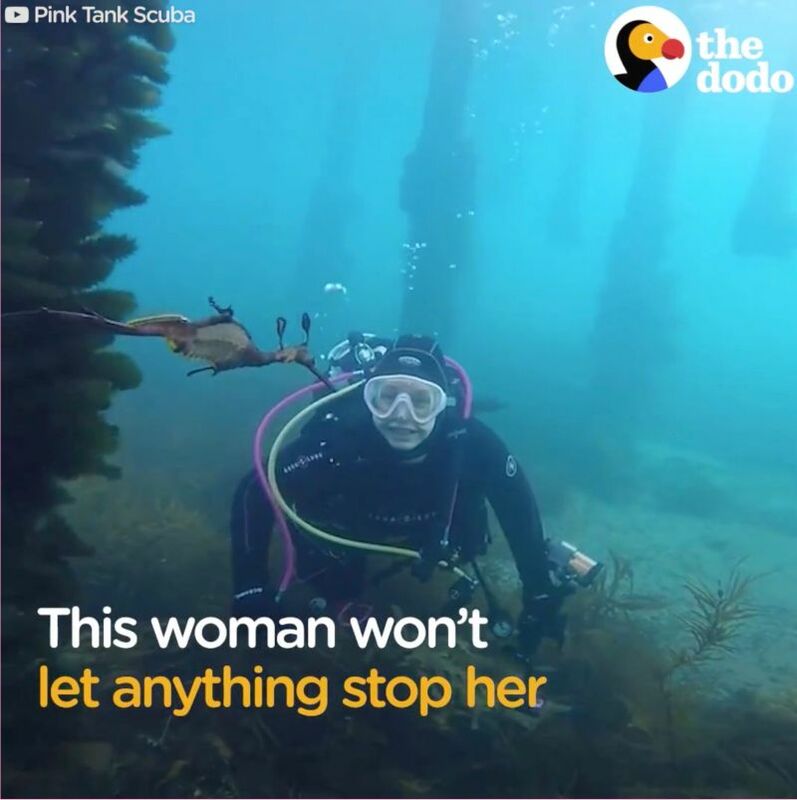 However The Dodo’s interviewer Ryan Barrentine revealed that he was a follower and supporter of the Pink Tank Scuba pages, and he was keen to also talk about my life, my ‘Scuba Vs Tumour’ journey and my obsession with marine life including spider crabs, octopuses and cuttlefish as well. And even since this interview was recorded, I have reached another conclusion about my life and how I see it. I’ve decided that while I will happily acknowledge that my oncologists have told me that they cannot cure me, that is their limitation, not mine. The term ‘terminal’ no longer sits well with me (did it ever?) My time could come from any unforeseen cause at any unforeseen moment, and in all honesty I could reasonably outlive those who have given me their best guess at my inevitable cause of death. And the vultures with monstrous crimson wings that once circled over my life, shamelessly waiting to pick the meat from my bones? I have banished forever and am determined to outlive even them. Some months ago I received the above photo which made my day, week and month. Thanks PT!! Next These Crows Have Figured Out How to Safely Eat Poisonous Toads Flip, dissect, avoid the deadly bits.